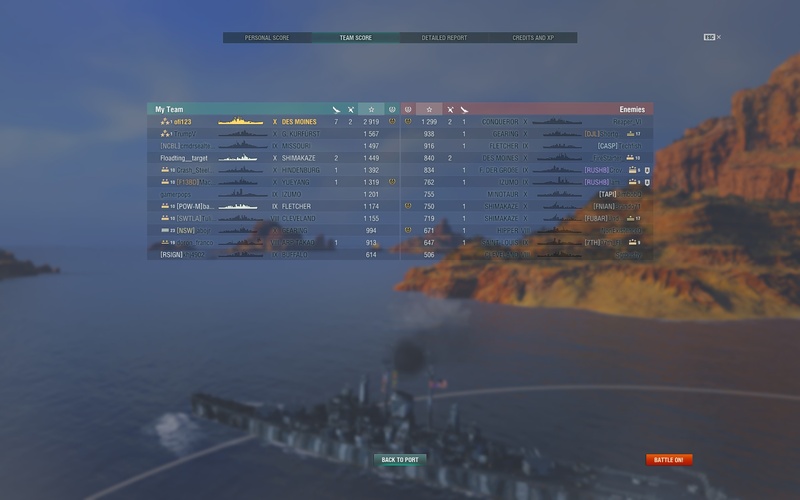 Des Memes (yes, that means I'm living the meme with double scout planes) meeting with a selfless Fletcher saved this game. Fletcher did the right but reward-less play of spotting and shooting to distract, allowing me to have the information to decide when to peek out or not. 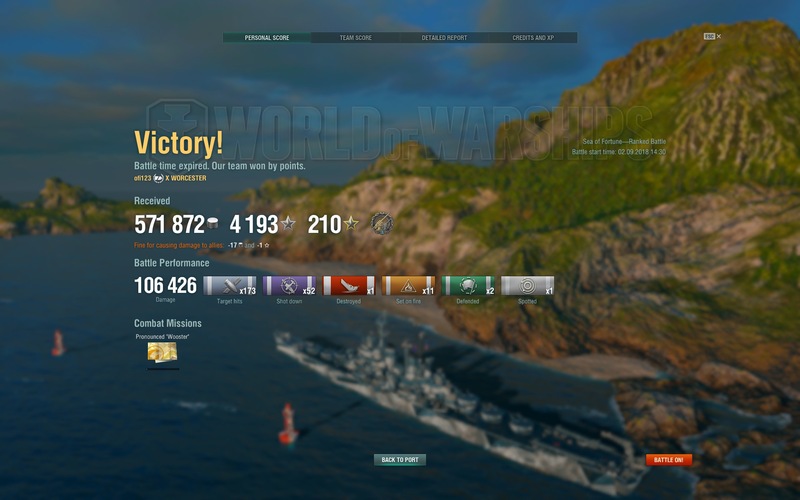 Bonus doubloons from SC after the battle! Just got the Republic and I already like her more than Alsace. 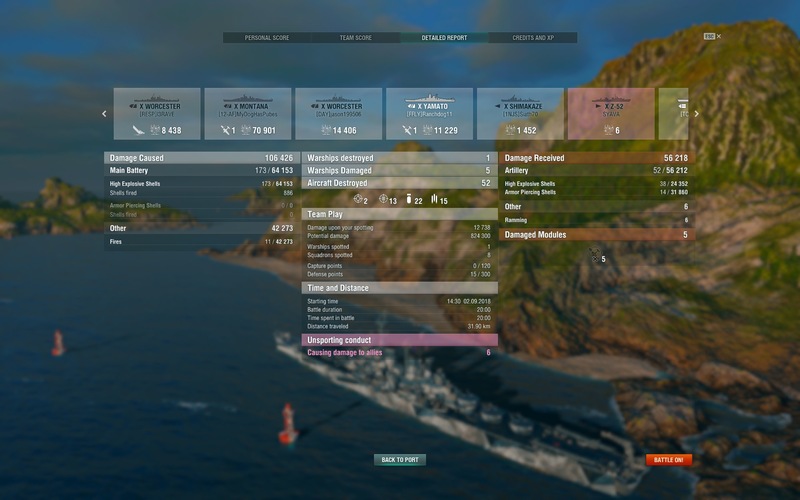 Alsace isn't bad, but I just don't feel like playing an end tier BB with her due to her dispersion and low shell caliber. 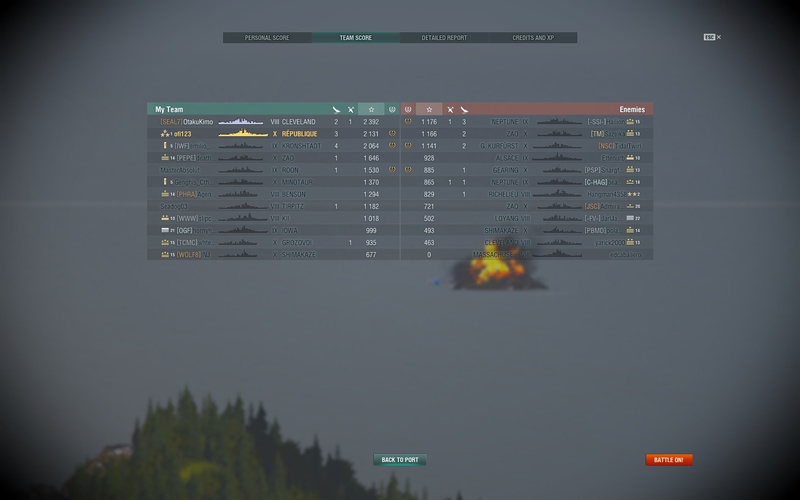 So annoying seeing end tier CAs just bow in and laugh at those 380s, and those broadsiding BBs at long range bouncing off shells like nothing. 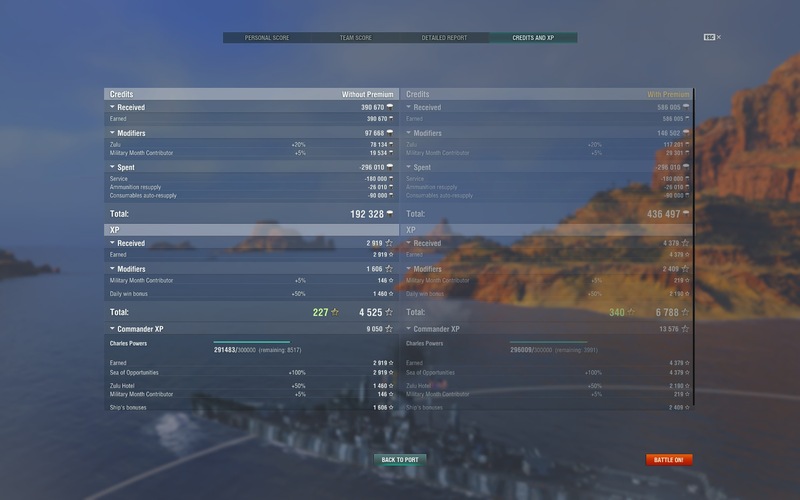 @ofi123 The 380mm deal in Tier IX is cool if you catch someone off guard, but if the target is aware, even some Cruisers can bounce that. I still remember using Roma, catching a Baltimore. 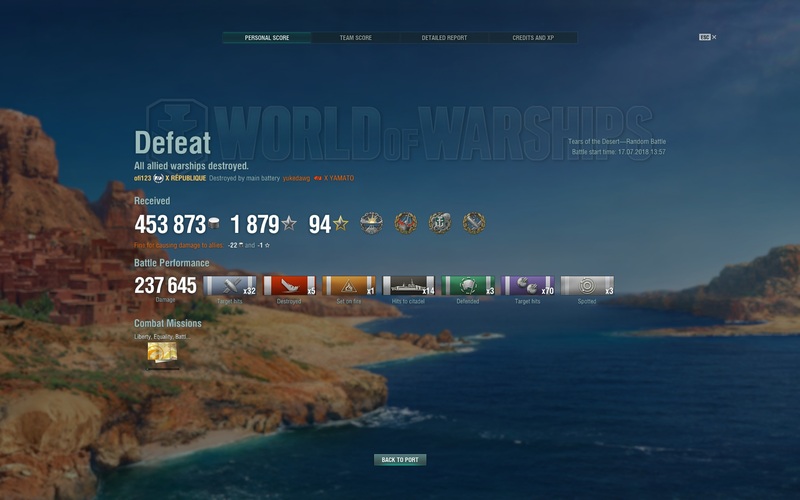 I fired a full salvo, but Balti turned right into it and I got 6 bounces, watching it all get deflected on the bow. 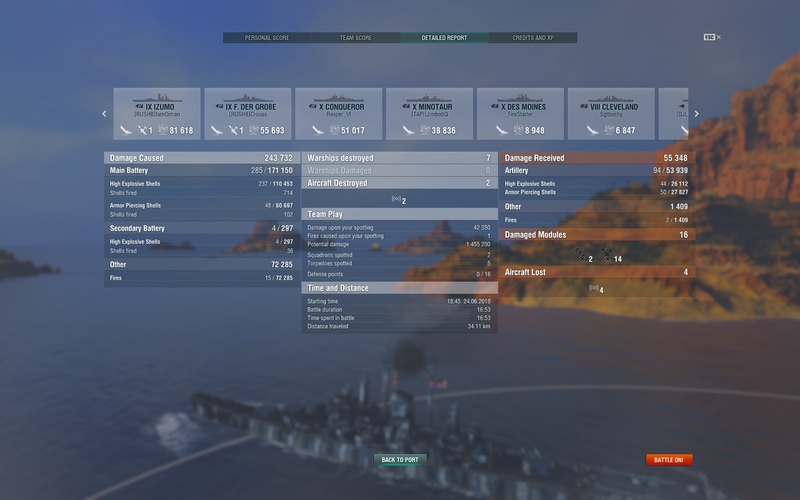 If I were to get 6 shell hits with something like IJN 410mm or USN 406mm, the Cruiser will not be a happy ship. Repbulique is pretty cool. I've had it in Secondary Spec and I think I'll switch to try Survival - Main Battery Build soon. 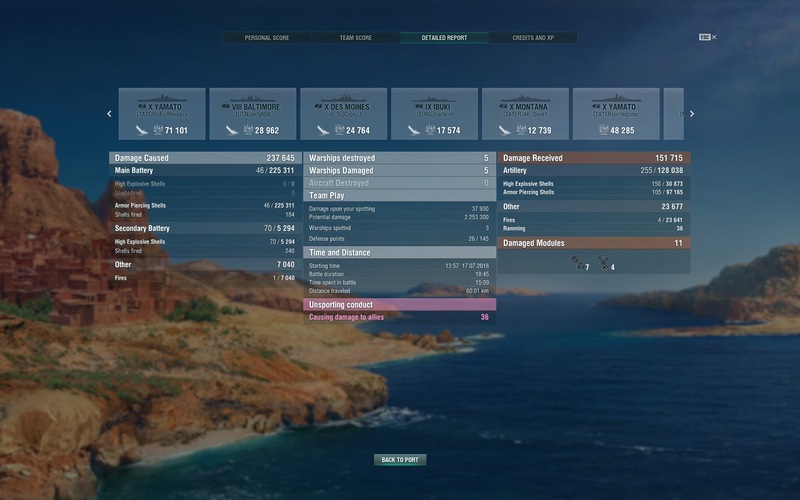 I switched around builds on some BBs to see how they behave. 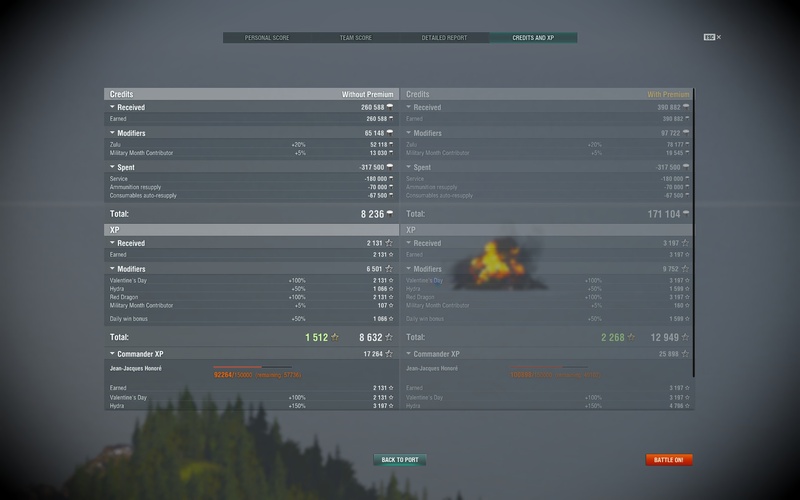 I even did Main Battery Build early on with GK and a Secondary Spec on Montana (I don't suggest the latter LOL). I feel Repbulique armor somehow bugged and don't know when they want to fix. 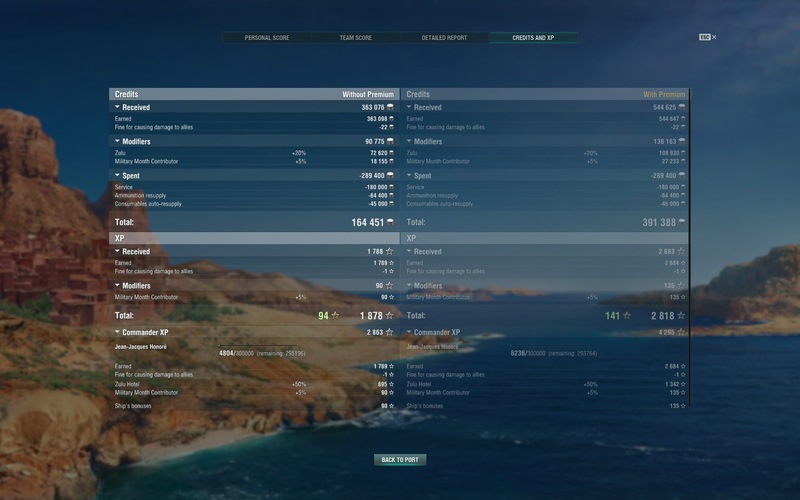 There some topics around wows forum. 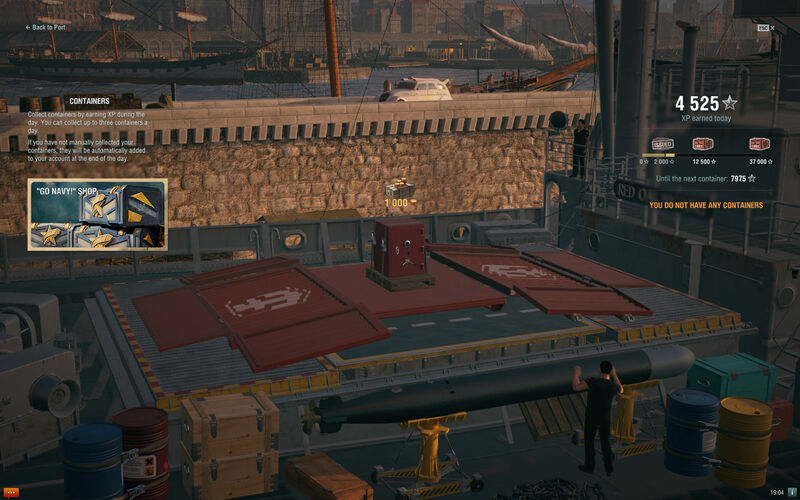 Some part of (upper)deck count as superstructure with 19mm armor and that is a real weakness. 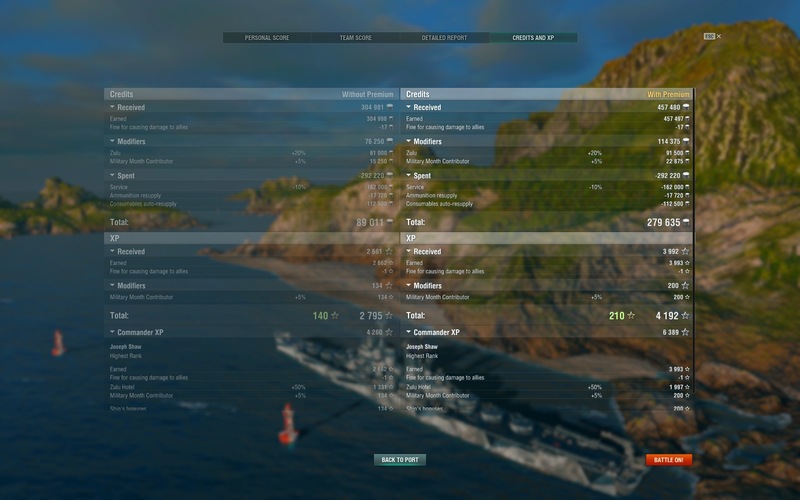 Only Repbulique and Alsace has the same "thingy" in the french line. Last edited by hidahos; 07-14-2018 at 10:08 PM. 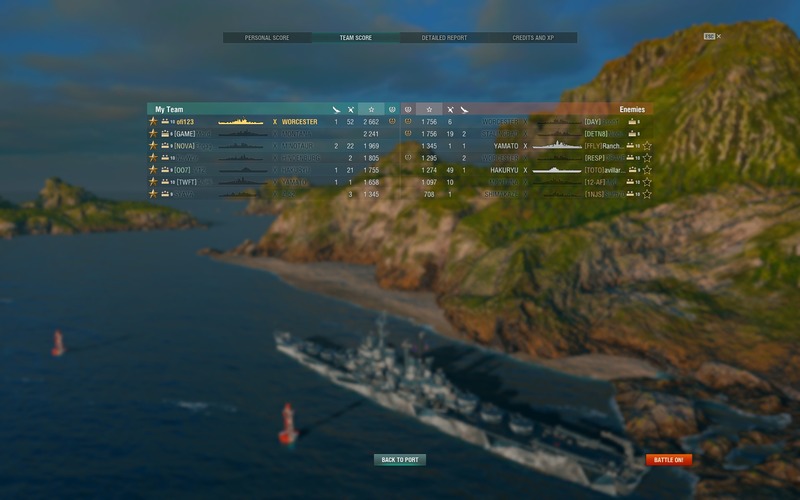 Even 14 citadels in a BB can't stop a Khab from roasting my team. Haven't found a way to deal with Khab in a Republic yet. Might not have played in a while, but these three feel just natural for me to play. First game with her in ranked. T10 bracket. 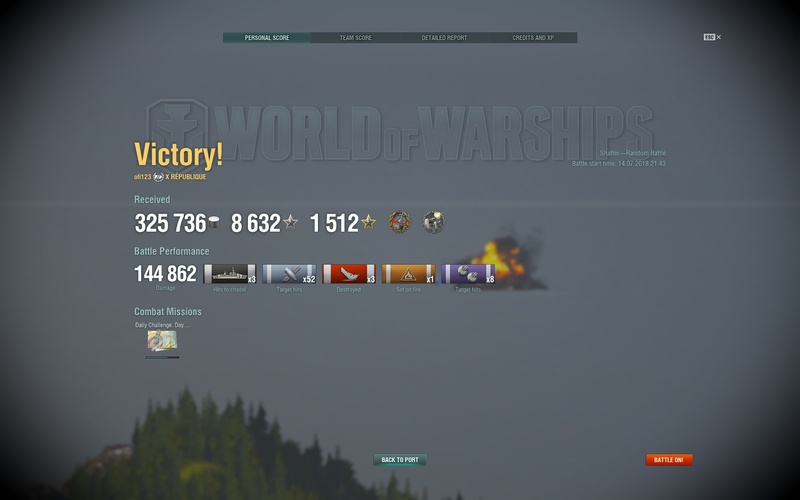 Didn't have much opportunity to island lobbing due to planes so a "mere" single kill, 11 fires and 106k damage. 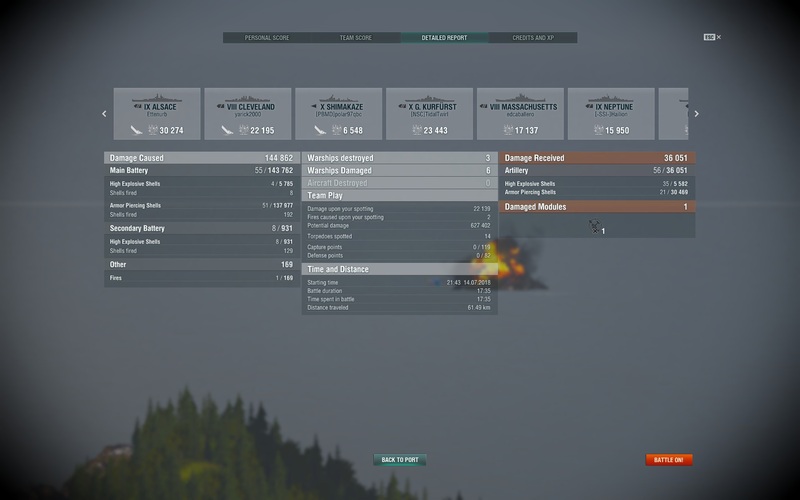 Didn't score any caps or damage related achievements yet managing to get an impressive 2.7k base exp by spending 90% of the game moving within 5km of the same spot. 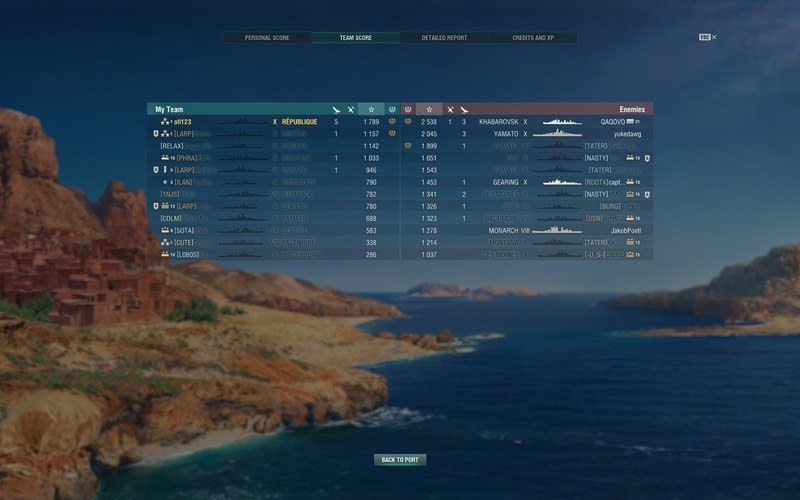 And yes, our CV was too close to the front lines that he went down. He's good but overextended as a CV. Last edited by ofi123; 09-02-2018 at 11:13 AM. Did it with poor Donskoi. 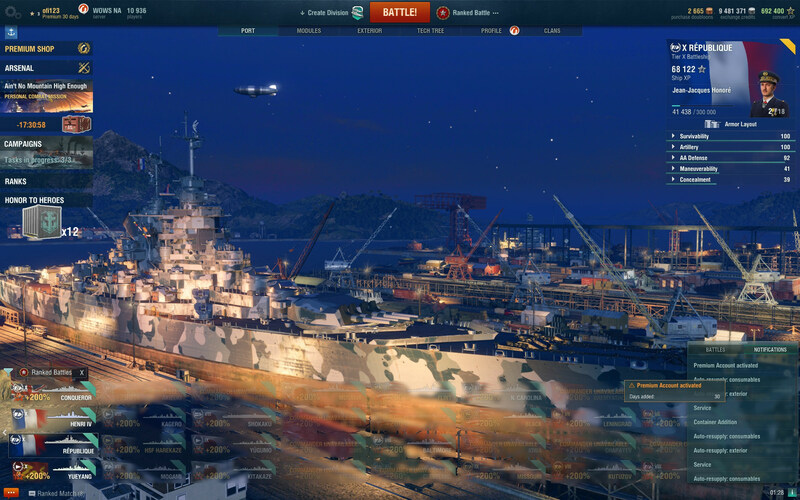 Used as many xp-flag as I can to reach Moskva with aniversary event. Republic's SC gave me 30 days of premium! 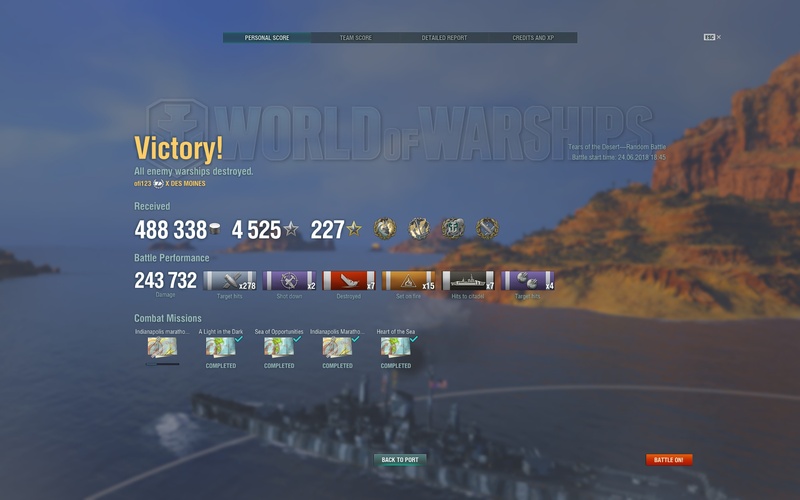 Now I won't run out of credits grinding in ranked!